Home » Diabetes Tips » Individualized Homeopathy: A Natural Type 2 Diabetes Remedy? Type 2 diabetes is also called adult-onset or non-insulin dependent diabetes. This means the pancreas does not produce enough insulin. Or, the body doesn’t properly use the insulin it does make. Doctors call it insulin resistance. As a result, sugar builds up in the blood rather than being used as energy. By and large, its development is associated with a diet low in fiber and high in refined carbohydrates. The “Western” or “Standard American” diet in a nutshell. This poor diet does not meet the glycemic needs of many long-term type 2 diabetics. Especially when those people are also taking multiple oral anti-diabetic drugs. Metformin is often the first drug prescribed for type 2 diabetes, while others include sulfonylureas, meglitinides, and thiazolidinediones. As all drugs do, diabetes medication comes with side effects. In this case, it can be upset stomach, kidney complications, dizziness or tiredness, low blood sugar, weight gain, swelling of ankles or legs, and an increased risk of anemia. This is where an individualized approach to diabetes treatment can go a long way. Individualized homeopathy, in particular, is generally safe, proven effective in studies, and the remedy is chosen only when it is the right fit. 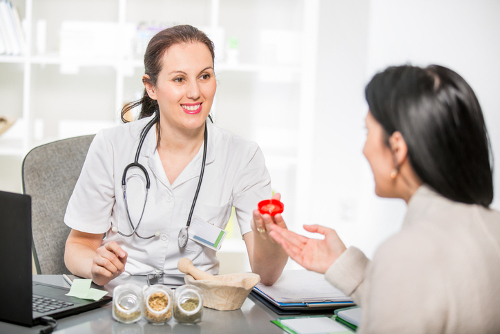 Hippocrates once said: “It is more important to know the person who has the condition than it is to know the condition the person has.” The special relationship between patients and homeopaths allows practitioners to really get to know their clients. This is extremely important for determining the best remedy for you, the patient, rather than just going on the knowledge that you have type 2 diabetes. The homeopath will sit down and interview you. They listen to everything—your emotional tendencies, mental behaviors, and anything physically happening with the body—before recommending a homeopathic remedy. After this process, your homeopath is able to match you with a remedy that works for you at that moment in time. Essentially, far more matters to a homeopath than your fasting blood sugar, postprandial blood sugar, and insulin levels. There is also research that backs up individualized homeopathic treatment for type 2 diabetes. Take, for example, a study published in the journal Homeopathy in May. Amazingly, the addition of individualized homeopathic treatment to conventional treatment was linked to better glycemic control when compared with standard treatment alone. So, constitutional homeopathic treatment for diabetes is recommended to support conventional medicines. And it is certainly compatible with them! What homeopathic remedy will your homeopath choose for type 2 diabetes? Another study from 2013 singled out homeopathic preparations of Syzygium jambolanum 6C (jambolan) and Cephalandra indica 30C (ivy gourd). The remedies exhibited anti-diabetic effects, while improving insulin action through activation of insulin-signaling molecules in type 2 diabetic rats. Your homeopath may also prescribe Phosphoricum acidum, which is thought to be effective when emotional stress has an influence on the onset of diabetes. Silicea may be the choice when diabetes is caused by an infection. Other anti-diabetic constitutional remedies include Plumbum metallicum, theridion, phosphorus, lycopodium, Argentum nitricum, tarantula, and Uranium nitricum. People with insulin resistance or high blood sugar levels should try consulting with a homeopath. They will not only recommend the most appropriate remedy based on your symptoms. But they will also suggest the most appropriate potency and dosage for that remedy. Do not discontinue any diabetes medication that has been prescribed to you without consulting your doctor. To, K., et al., “Individualized homeopathic treatment in addition to conventional treatment in type II diabetic patients in Hong Kong – a retrospective cohort study,” Homeopathy, May 2017; 106(2); 79-86, doi: 10.1016/j.homp.2017.02.002. Sampath, S., et al., “Effect of homeopathic preparations of Syzygium jambolanum and Cephalandra indica on gastrocnemius muscle of high fat and high fructose-induced type-2 diabetic rats,” Homeopathy, July 2013; 102(3): 160-171, doi: 10.106/j.homp.2013.05.002. Balch, J., et al., Prescription for Natural Cures: A Self-Care Guide for Treating Health Problems with Natural Remedies Including Diet, Nutrition, Supplements, and Other Holistic Methods (Hoboken: John Wiley & Sons, Inc., 2004), 241-249. Lockie, A., Encyclopedia of Homeopathy: The Definitive Home Reference Guide to Homeopathic Remedies and Treatments for Common Ailments (New York: DK Publishing, Inc., 2000), 191. “Diabetes Medication Side Effects,” Diabetes UK; http://www.diabetes.co.uk/features/diabetes-medication-side-effects.html, last accessed Aug. 15, 2017.